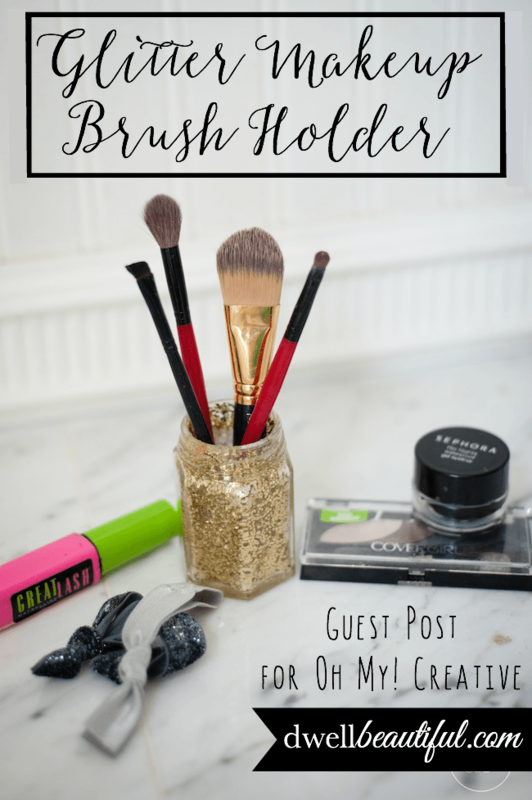 Today I’m sharing a super easy and and pretty craft – a glitter makeup brush holder! All of my makeup brushes were just in the bottom of my makeup tote and they were constantly getting dirty and smushed. So I decided to dress up a little jar I had lying around to put them on display and keep them nice! 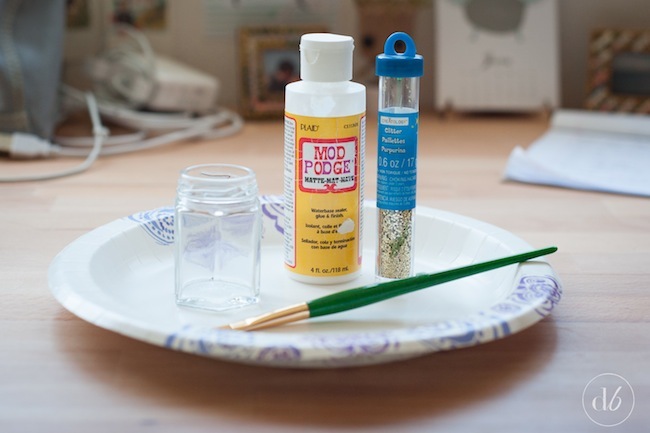 Mix some Mod Podge and glitter together and use your paintbrush to combine thoroughly. 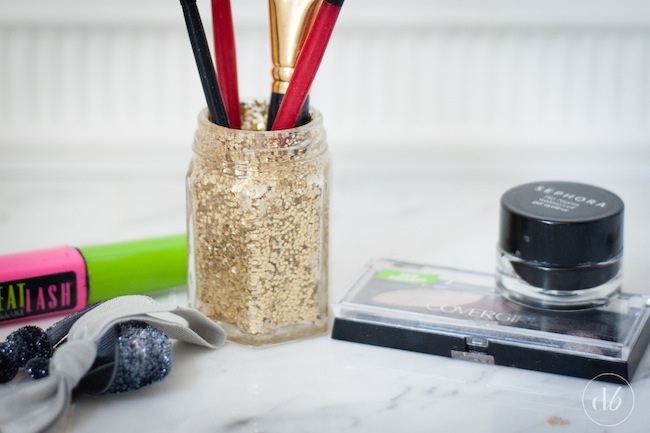 Take your glitter and Mod Podge mixture and paint it into the inside of your jar, making sure you get into all the corners and nooks of your jar! 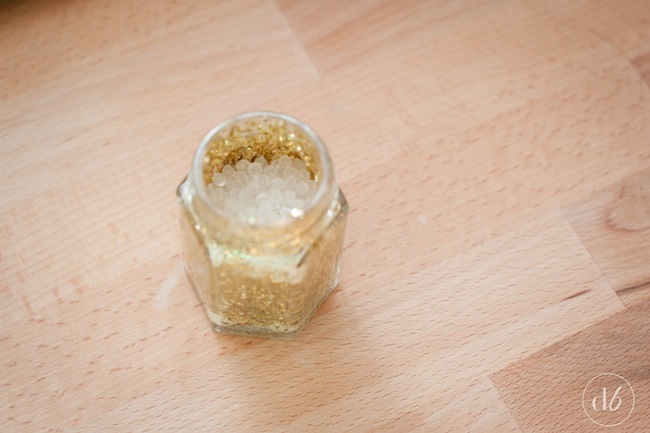 After the inside of your jar is coated, pour some loose glitter into the jar and roll it around, making sure you coat the walls of the jar completely. 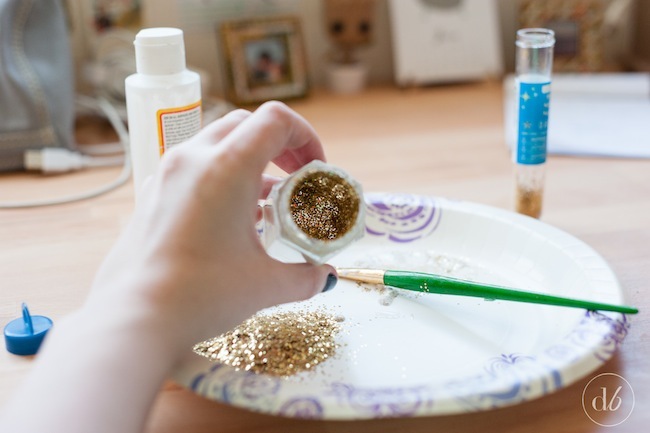 This will ensure that everything is coated in a lovely layer of sparkly glitter! 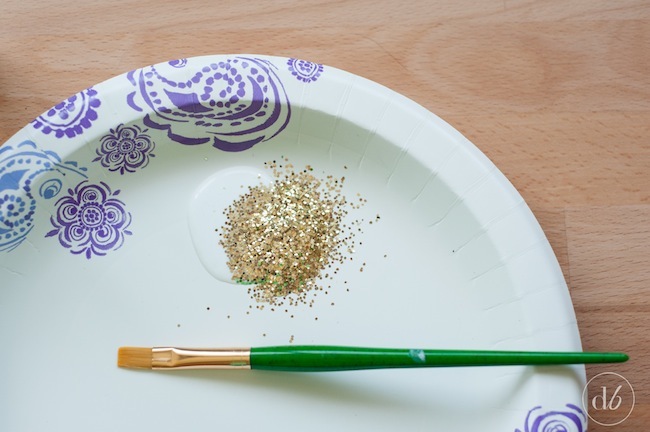 Dump out any excess onto a plate and put back into the glitter container. 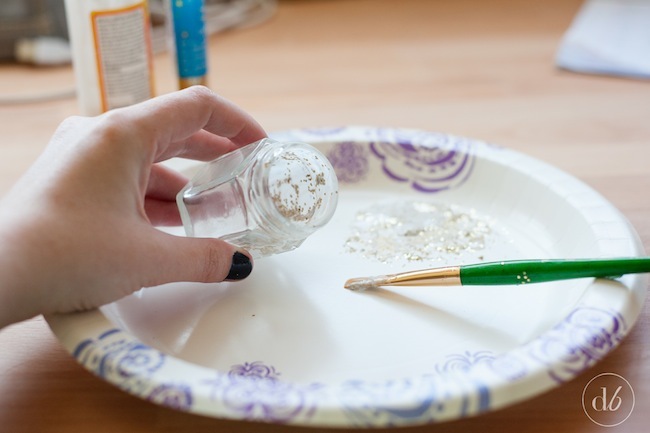 Once your jar is completely dry, fill the inside with little beads – I used little plastic fill beads that you use to fill bean bags and stuffed animals. They also use these types of beads in the Sephora displays! 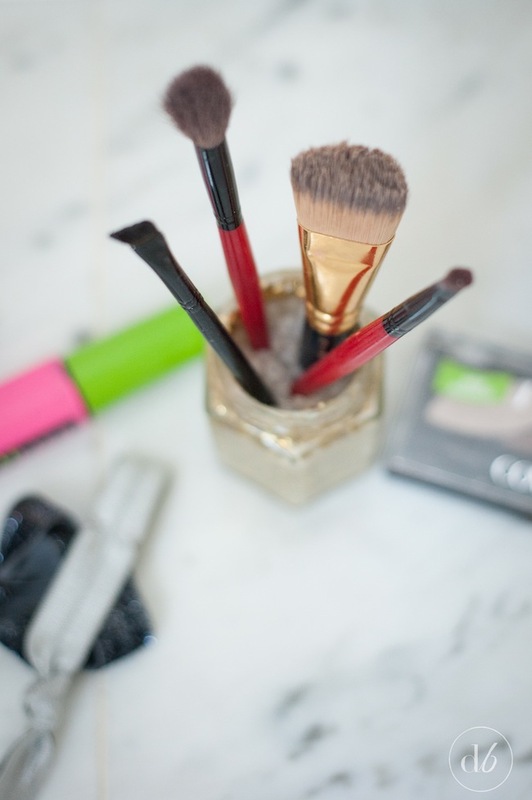 The little beads help the brushes to stand upright in the jar and give it that extra finishing touch! 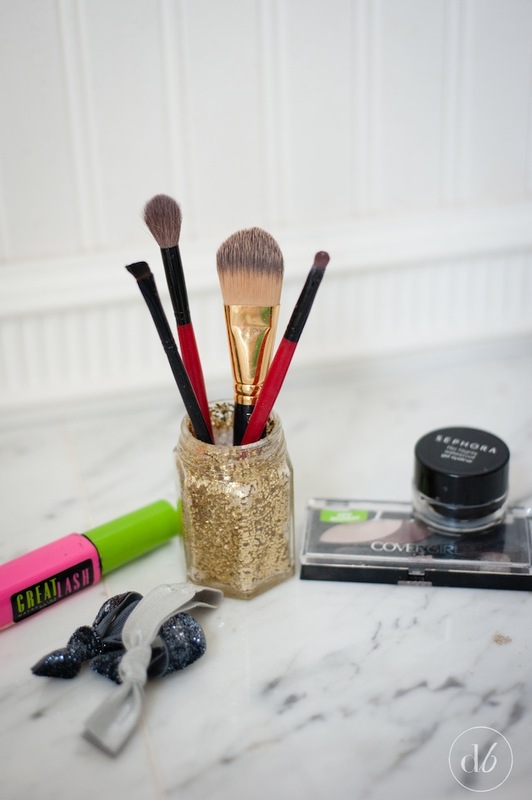 I love my little sparkly glitter makeup brush jar! 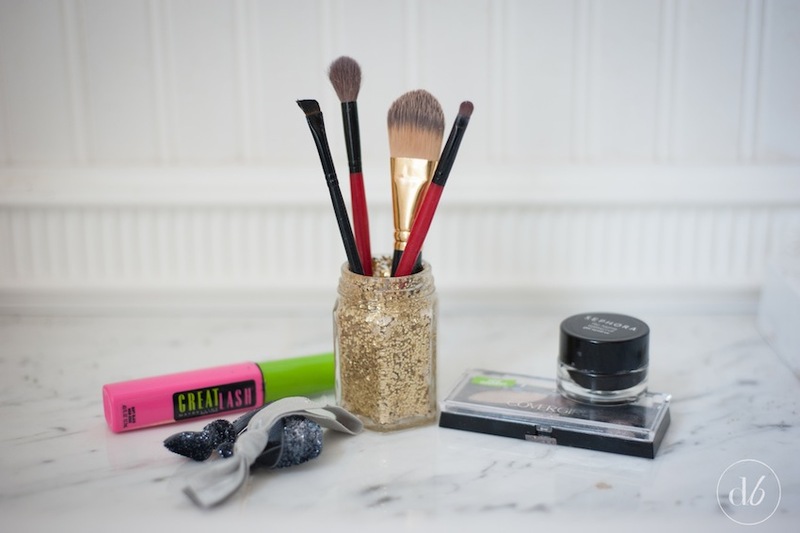 It’s such a fun addition to my little getting ready station and I’m glad that my brushes are no longer getting dirty or smushed! I hope you’ve enjoyed my little tutorial! Thanks so much to Susan for having me along and I’ll see ya next time!